Sean Dyche insists his side still have a fighting chance of Premier League survival as they head into March. Burnley remain in the bottom three only on goal difference - after failing to win any of their first 10 games. A point at home to Swansea City would have seen them climb out of the relegation zone above QPR, but a 1-0 defeat means they go to Anfield to face Liverpool on Wednesday night looking for a first win in seven games. 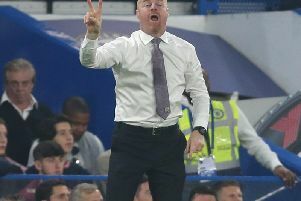 Bearing in mind the testing schedule of fixtures Burnley are in the middle of, a home game against Swansea looked one of the better opportunities to gain points, but as he pointed out: “We don’t really work like that, we can’t guarantee anything at this level, if you look back to the first 10 games, a lot was made of us not winning. If you win enough games, it looks after itself.